Short, approximately 18" cable, used to connect a Wilson Cellular Cell Phone Antenna to a cellular phone. Designed for cell phone which have internal antennas and no external antenna port. 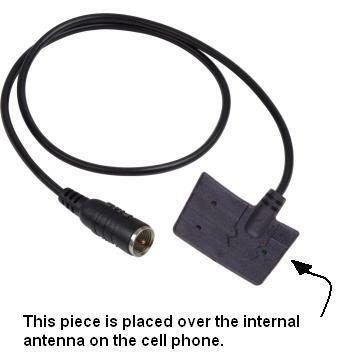 This is a passive adapter which does not work as well as an adapter that connects directly to a phone. Adapter attaches with Velcro on back of phone over the phone's internal antenna.